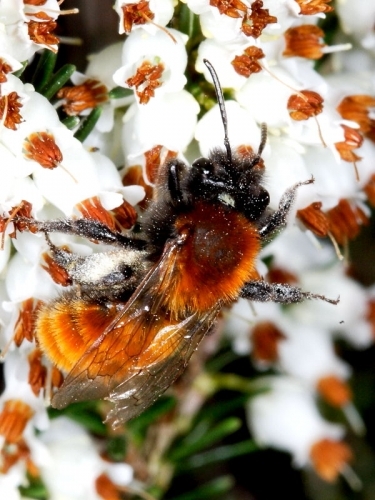 There were a few female Tawny Mining-bees visiting the flowering Winter Heath in the garden at the weekend. They were not as numerous as the Ashy Mining-bee. Insight into Tawny Mining-bee (Andrena fulva): a solitary bee that flies in springtime from early April to June and is found in England and Wales. 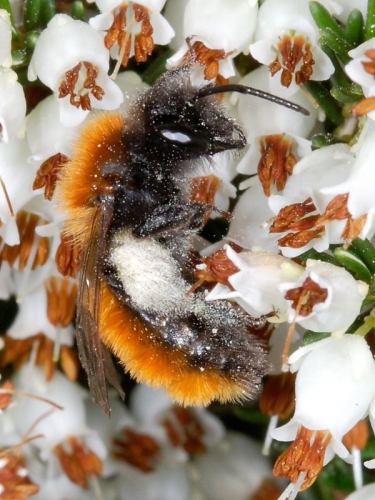 The females are covered in distinctive orangey-red hair whilst the slimmer males have much less dense hair and a white tuft on the lower face.